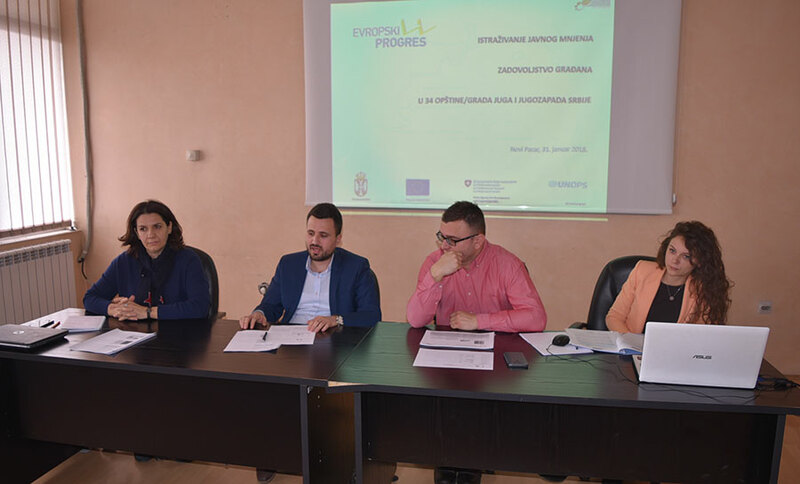 The results of a research financially supported by through the European PROGRES development programme show that citizens of 34 municipalities in southeast and southwest Serbia are more satisfied with the work of local authorities and quality of their lives. Being the third research cycle conducted in these municipalities – the first two were carried out in 2010 and 2013, respectively – it offers some substantial findings that serve as guidelines for further improvement of the work of local self-governments and monitoring of the needs of population, concluded participants in presentations held in Vranje, Nis and Novi Pazar from 29-31 January 2018. The results of the research, conducted with support of the Centre for Free Elections and Democracy (CeSID) in October and November 2017 on a representative sample of 8,256 adults, show that there has been a constant upward trend in the number of people who feel the local authorities take their interests into account and provide services that respond to their needs. In 2010 and 2013 their number stood at 22 and 26 per cent, respectively, whereas now stands at 37 per cent. In comparison to the previous research, the respondents say it takes less time for local self-governments to meet their claims. In 2010 and 2013, the number of respondents who felt their claims are answered quickly stood at 27 and 22 per cent, respectively, whereas in this survey their number rose to 35 per cent. Bojan Klacar from CeSID said that 44 per cent of respondents in this part of Serbia perceive agriculture as the driver of the economic development and hence a sector to be invested in the most, followed by the light industry (22 per cent), while the majority of citizens believes that investments, aimed at improving overall living standard, should be focused on infrastructure, health sector, sewage and water supply, as well as support for socially vulnerable groups. The respondents cite poor infrastructure, stray dogs and crime as main reasons for feeling unsafe. “The majority of findings show an upward trend. The citizens describe the work of municipal services in more positive terms, they have more trust in local institutions, whether it is the Mayor, the Municipal Assembly or the Municipal Council, and they have their claims lodged in with local authorities met faster. 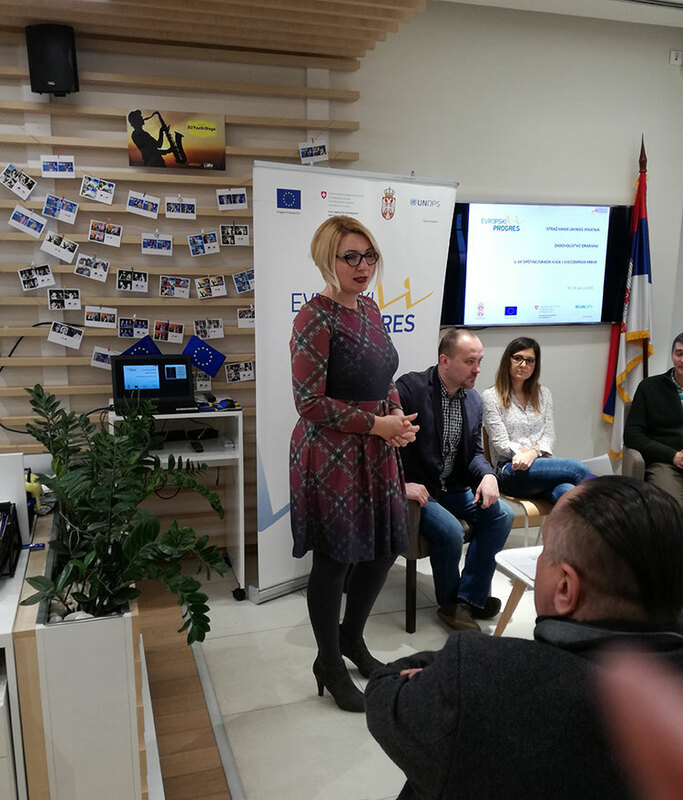 They also think more highly of the work of municipal officials,” Marko Vujacic, European PROGRES National Programme Manager said and underlined that people had recognized that local self-governments are indeed becoming citizen-oriented services. “The survey showed that people have a somewhat better perception of the living standard as 35 per cent of people described their living standard as good or average, an increase compared to 2010 when this particular indicator stood at 26 per cent. However, six per cent of people say they live intolerably, which is a signal for local and national authorities, as well as development programmes such as the European PROGRES, to continue throwing support for municipalities,” Vujacic said. “Upward trends can be noticed, but there is room for improvement. For instance, 27 per cent of respondents think that procedures are complicated, while 81 per cent believe that they receive insufficient information regarding the budget. It should also be taken into account that this research is based on subjective assessments; real parameters, such as wages that are 30 per cent lower in this part of Serbia in comparison to the national average, show that it is necessary to work on improving the standard of living”, said Ivo Colovic from CeSID. 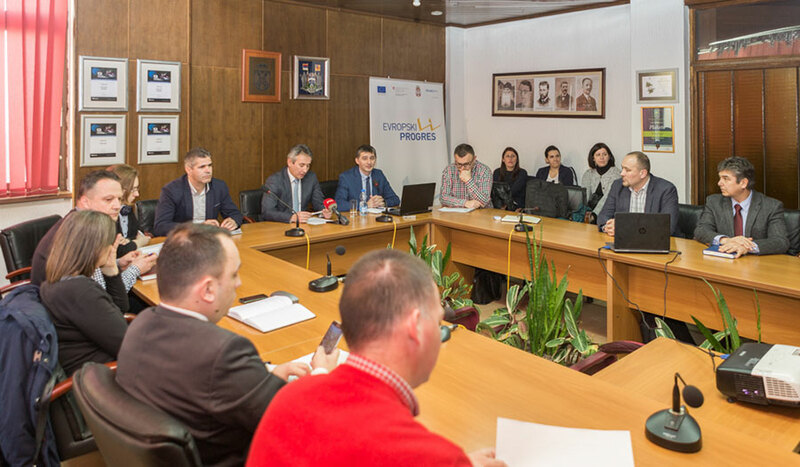 According to representatives of local self-governments, the Mayor of Vranje Slobodan Milenkovic and Assistant Mayor of Novi Pazar Emir Asceric who took part in presentations, the results provide solid guidelines for further improvements and shaping of development policies and projects aimed at improving the lives of citizens. The municipalities included in the programme – Novi Pazar, Ivanjica, Nova Varos, Priboj, Prijepolje, Raska, Sjenica and Tutin in southwest Serbia, and Prokuplje, Blace, Zitoradja Kursumlija, Leskovac, Bojnik, Vlasotince, Lebane, Medvedja, Crna Trava, Vranje, Bosilegrad, Bujanovac, Vladicin Han, Presevo, Surdulica, Trgoviste, Brus, Aleksinac, Gadzin Han, Doljevac, Merosina, Svrljig, Babusnica, Bela Palanka and Knjazevac in southeast of the country.